It’s time to get back into the water… MANDY MOORE, CLAIRE HOLT and MATTHEW MODINE star in the tense and terrifying 47 METRES DOWN. Out to download and own on DVD this November. Sisters Lisa (Moore) and Kate (Holt) become trapped at the bottom of the ocean as a shark diving expedition led by Captain Taylor (Modine) goes horribly wrong. The experience of a lifetime quickly turns into a nightmare for Lisa and Kate as they realise they have become shark-bait in this suffocating thriller. 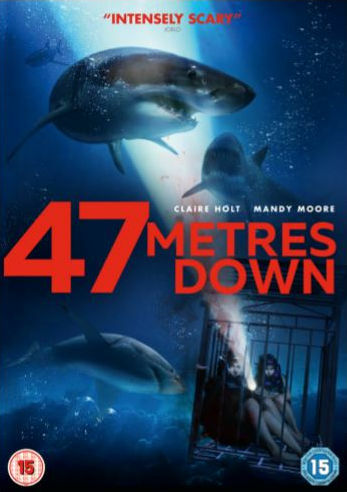 "47 Metres Down" is available to Download from 20th Nov and on DVD from 27th Nov from Entertainment One.